The Trinity Executive MBA has been ranked 17th in the world in CEO Magazine Global Rankings. The Trinity Full-Time MBA was also ranked in the top tier of European MBAs. Read more here. 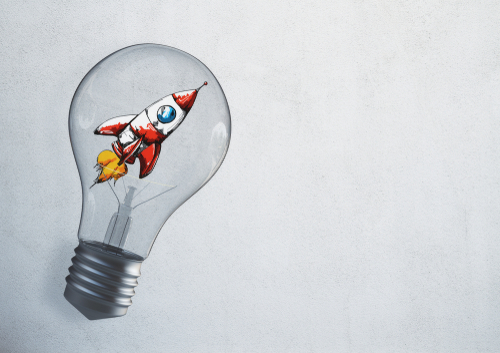 Dr. Na Fu, Associate Professor in Human Resource Management at Trinity Business School, explores the best ways for businesses to encourage and implement new and profitable ideas. Trinity MBA Director Professor Amanda Shantz and current student April Durrett speak about how the School is helping to support women in leadership with initiatives like the 30% Club scholarship. Read more here. 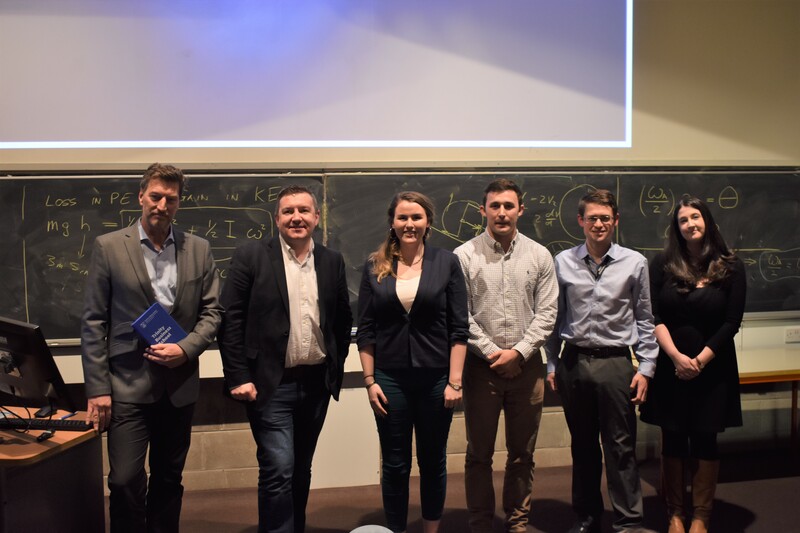 Students from the MSc in Entrepreneurship programme pitched to an expert panel of judges last week as part of the annual Demo Day. Six teams each gave a five minute pitch on their business ventures, with Keep Appy winning outright on the night. Netflix emerged as the real winner behind this year’s Oscars, write Dr. Louis Brennan and Dr. Paul Lyons of Trinity Business School. Read here about how Netflix achieved its 15 Oscar nominations and the commercial realities it now faces in an increasingly competitive market. Dr. Sinéad Monaghan, assistant professor of international business, shows how managers in the Irish subsidiaries of high-growth firms play a central role in driving their international expansion by leveraging the conditions available in Ireland to deliver high performance and growth. While a higher-paying job can come with a bigger and more important workload, research shows that’s not necessarily where stress might be coming from. 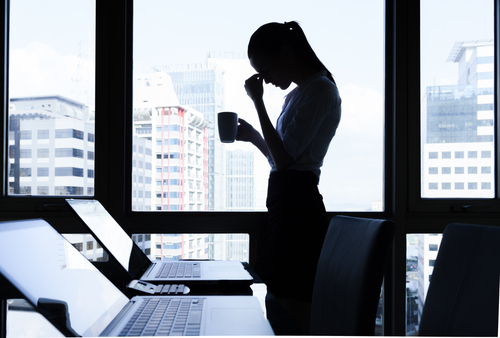 Assistant professor of HR and Organisational Behaviour Sarah-Jane Cullinane discusses this and the job demands that most strongly predict stress. 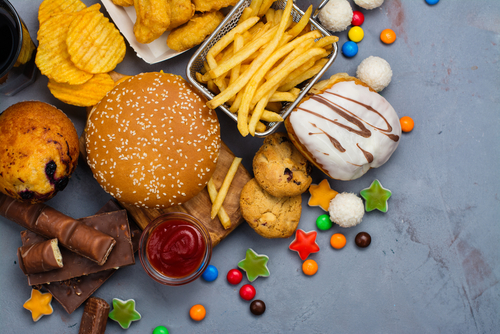 Professor Norah Campbell, assistant professor in business at Trinity Business School, makes the case in her letter to the editor of the Irish Times for stronger regulations on junk food advertising. Charlie Butler and Brian O’Mahony are making waves with their start-up ‘Bounce’. Having recently received €12,500 in funding for their company, Bounce is redefining what constitutes market research in today’s world of technology. 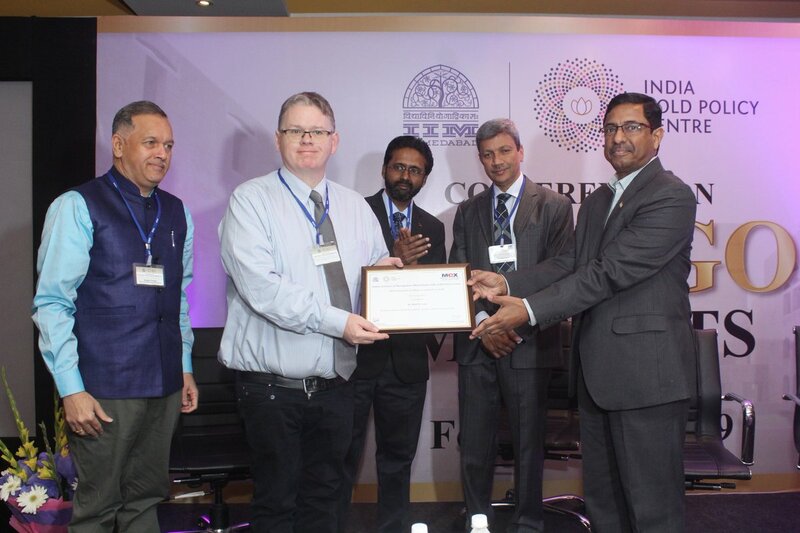 Professor Brian Lucey, Professor of Finance & International Commodities, recently won the MCX award for excellence in gold research from the India Gold Policy Centre. Professor Lucey received the award for his contribution towards market development and is the first academic to be recognised at the awards. Acting on a social enterprise idea back in October 2018, ‘Stampify’ – created by six business graduates, has gone on to acquire 15 partners and donate 1500 meals towards feeding children in the developing world. The venture has recently been voted Start-up of the Week by Silicon Republic! Read more here. Assistant Professor in International Business Eimear Nolan discusses the importance of making a great first impression at job interviews. Read more here. 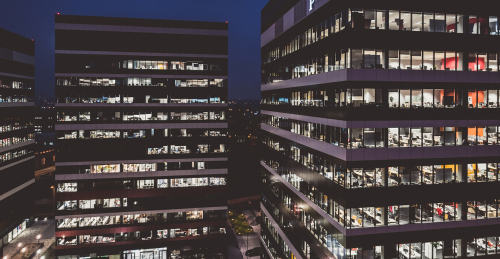 The long-term interests of corporations require a stable environment that has as its foundation cohesive societies rather than our increasingly fractious and fractured ones says Professor Louis Brennan of Trinity Business School. Read more here. Join us for our drop-in drop-out open evening with our expert faculty, admissions team and careers specialists to learn more about our programmes and take the next step in your career. Register here. Trinity College Dublin graduates among the most employable and successful in the world according to latest QS World University Rankings. QS World University Rankings for Graduate Employability 2019, ranked Trinity first in Ireland for graduate employment and alumni outcomes. Survey analysis and economic commentary were provided by Dr Charles Larkin, assistant professor and research fellow and Dr Na Fu, associate professor in human resource management, Trinity Business School. The EFMD Peer Review Team stated that the development of the School’s values, DNA, vision and the way in which these have enabled it to bind the existing and new faculty/staff together towards the growth strategy of the School, were indeed extraordinary. This prestigious quality assessment accreditation places Trinity Business School amongst the top 2% of business schools in the World. The School is now double accredited having already secured AMBA accreditation. Read the full story here. What does capitalism mean in the 21st century? Julian Friedland, Assistant Professor of Business Ethics in Trinity Business School, contributes to a piece in Economia exploring the meaning of capitalism in the 21st century. "We need to design market environments that work to hone our moral attention by triggering self-reflection on our own economic activities." Read the piece here. Trinity Business School’s high growth strategy is beginning to pay off as its longest-running Master’s programme earned recognition in the recent global rankings released by Times Higher Education and the Wall Street Journal. Read more here. Have a read of Trinity Business School news from over the past few months. Read the Ezine here. 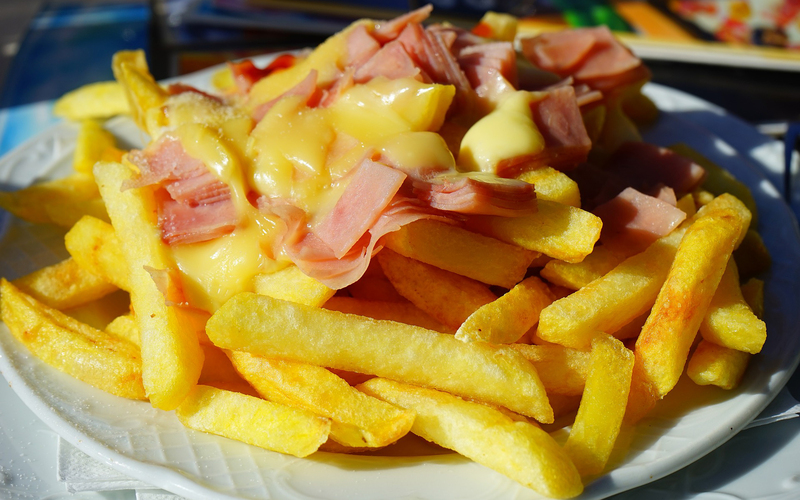 Ireland's cost of obesity is predicted to reach €5.4 billion by 2030. Trinity Business School's Dr Norah Campbell comments on the nature of McDonald's charity connections in The Conversation. Read article here. Five teams of MSc in Digital Marketing Strategy students presented to senior management from Microsoft Ireland and the government on a diverse range of digital government services. Read article here. Dr. Tanusree Jain, Assistant Professor in CSR and Corporate Governance at Trinity Business School, has been named in the top 20 most influential faculty thinkers on issues of responsible business in social media and features in the University of Bath #thinklist. Read more on the list here. Journal rankings are a poor way to determine if a researcher or their research is worthwhile, argue Cormac Bryce, Michael Dowling and Professor Brian M. Lucey of Trinity Business School in this op-ed for Times Higher Education. Read the article here. Fiona, a Trinity Business School Advisory Board Member and Trinity College graduate, has been global president of Mars Foods, Drinks and Multisales since 2015. She described the award as “a considerable honour” and said it was also a recognition of the teams she had worked with present and past. Read the article here. Graduates from Trinity College Dublin are among the most employable and workplace ready in the world according to the just published Times Higher Education 2018 Global University Employability Rankings. "During their time at Trinity, students get the opportunity to develop key employability skills that allow them to succeed not just in their careers but in their future lives as individuals and members of society." Read article here. Professor Na Fu, Associate Professor in Human Resource Management and the Programme Director of the MSc in Human Resource Management in Trinity Business School, examines individual management alongside consistent management in a team, and how the two combined can, albeit paradoxically, improve employees’ performance. Read article here. In his most recent piece, Paul Ryan, Associate Professor of Entrepreneurship and International Strategy in Trinity Business School, along with Tony Dundon from the University of Manchester, investigate Talent Management and its subjectivity. Is it time to review the definition of ‘talent’ in the workplace? Read article here. Many topics can be derived from the term “wicked” problems, but collaboration is key as Ana de Almeida Kumlien and Paul Coughlan investigate. Read article here. 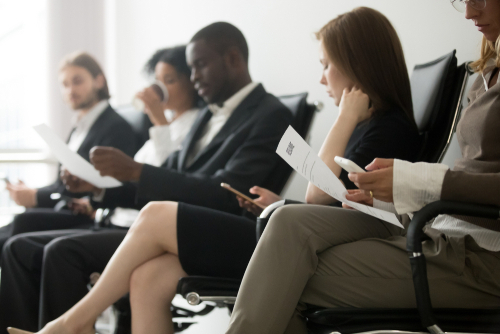 In her new piece for the Irish Times, Dr Eimear Nolan discusses the challenges of recruiting internationally trained doctors to fill vacant positions. Read more here. 'Netflix has worked with, and responded to, the new markets it's entered' - Dr Louis Brennan's recent publication in the Harvard Business Review explores Netflix's global strategy. Read more here. 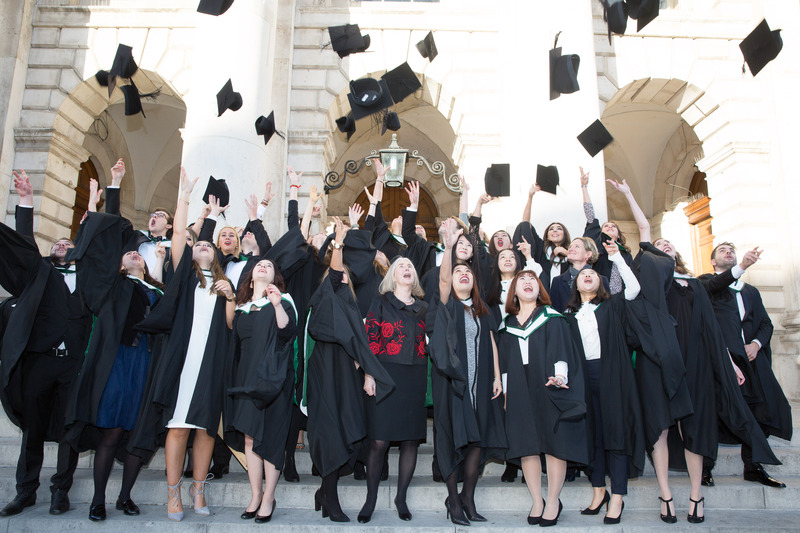 The recent QS Global MBA 2019 and QS Best Masters Rankings 2019, published on 25 September, have placed Trinity Business School’s postgraduate programmes among the best in the World. Read more here. Trinity Business School is delighted to announce the recipients of this year’s Séamus McDermott Scholarship for Entrepreneurship, sponsored by the Liffey Trust founder. Read more here. Have a read through our recent news and events. News about startup, Work Smarter, developed by Anika Riley and Sebastian Kühn, who are studying on the MSc Entrepreneurship programme at Trinity, and who are on Trinity's 2018 LaunchBox student business accelerator appears in today's Irish Times. Looking forward to seeing graduands back for Autumn Commencements. Don't forget that the deadline for registration for Autumn Commencements is 24th August 2018. As part of National Heritage Week, Professor Frank Barry will be speaking in Raheny Library about the leading manufacturing firms and some of the best-loved brands of the 1920s such as Clery's and Jacob's. 'People do not leave companies, they leave their managers' - Dr Na Fu's recent publication in the Journal of Management explores the paradoxical role that line managers take in implementing varied Human Resource Management practice. Read more about the inspiration for conducting the research here. 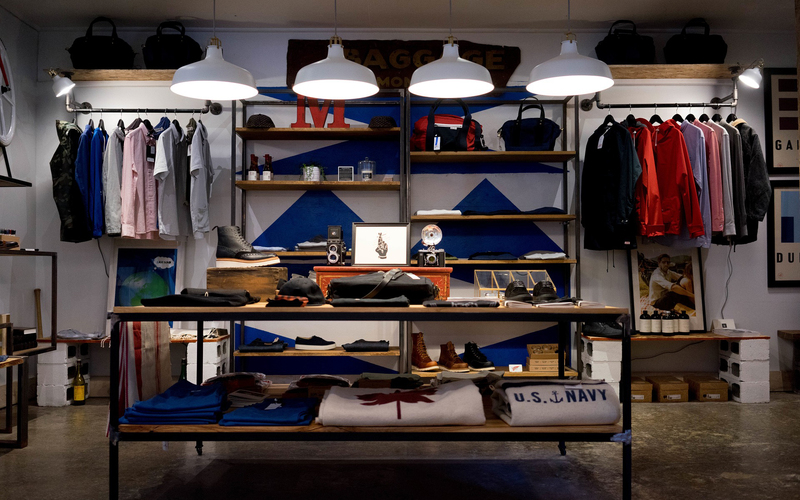 SMEs have the edge on providing employees with meaningful work. When SMEs stop trying to compete with the offers and perks from larger companies and instead engage in communicating the benefits that SMEs inherently have, they will start to attract the talent that is needed. Professor Amanda Shantz and MSc graduand Andrew Clark write in this month's Accountancy Ireland. Large-scale misconduct starts small, so prevention should focus on how employees make decisions. Professor Amanda Shantz's timely new research features in MIT Sloan Management Review. Read more here. 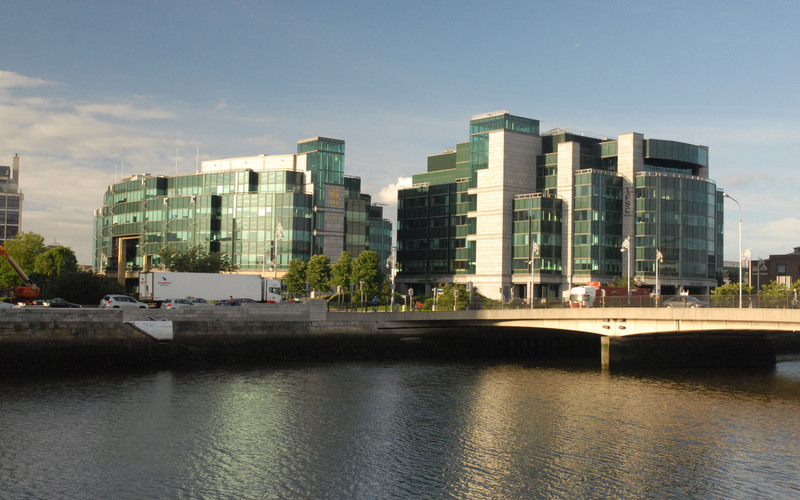 Professor Louis Brennan explains in the Irish Times that the fact that Intel still has a manufacturing site here with third-level sector links serves as an important signal to prospective investors and shows that Ireland has human capital that is highly skilled and technologically sophisticated. Read more here. 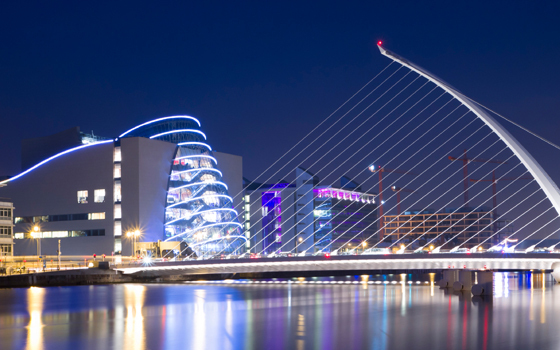 Trinity announces a new innovation district which Provost Prendergast says 'is a vital step in enabling Dublin to be ranked as a top 20 global city for innovation. We can do this, if we get all parts of the innovation ecosystem to move together'. The great advantage of studying in Trinity is that dignitaries from all around the world come to visit. On Wednesday 11th July, Royal couple, Harry and Meghan visited Trinity as part of their trip to Ireland. Read more here. The MSc in Digital Marketing is now ranked No1 in the World by Eduniversal Best Masters and our other MSc programmes are rising through the ranks too. 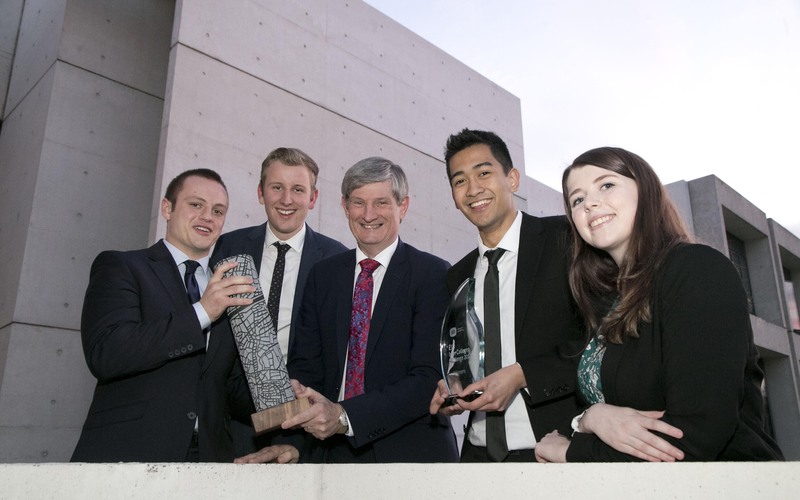 The Irish Exporters Association, in partnership with platinum sponsors KPMG and Trinity Business School, announced the 18th Export Industry Awards are now open for applications and launched the Alumni Programme for 2018. Trinity Business School were proud to sponsor Team Éirloop who came 5th in the Hyperloop Pod competition at Space X HQ in California on Sunday 22nd July. Elon Musk signed their pod and they were given an innovation award recognising their design. "The disruptive explosion of volatility and exponential growth rates in valuations, to which crypto-currencies have accustomed us, have inevitably led to a steep increase in media interest, attracting a growing number of investors that see in crypto-currencies a new financial asset class on which to speculate" - writes Adjunct Assistant Professor Constantin Gurdgiev in International Banker. 36 Teaching Excellence Awards and 12 Research Excellence Awards were presented to Trinity Business School Faculty. For a full list of recipients, read more here. A networking event took place between members of the Full Time MBA programme and 10 fifth year students from the Trinity Access Programme. Read more here. Three students from Trinity Business School secure $17,500 in seed funding for their wellness mobile app 'Keep Appy' that helps individuals to take control of their mental health and physical well-being. Read more about this success story here. It was a great disappointment to have to cancel the Trinity Business and Technology Forum in March. To make up for cancelling the Forum we are holding a 'mini' evening event on September 12th. We were delighted that the event sold-out in a few days. However, watch this space, tickets for next year's event will be available soon. ACCA's new partnership with Trinity College Dublin offers members opportunities to build up vital digital skills for their business careers explains Etain Doyle, ACCA Chair writes. The second Little Heresies event involved a candid discussion between Marc DuBois and Siobhan McGee about the need for transformation of the humanitarian system. The Trinity Centre for Social Innovation will play a role in driving that change. Trinity is No1 in Europe for entrepreneurship and its Launchbox accelerator programme is one of the reasons why. Professor Andrew Burke, Dean of the Business School, visited the teams in their dedicated summer workspace. 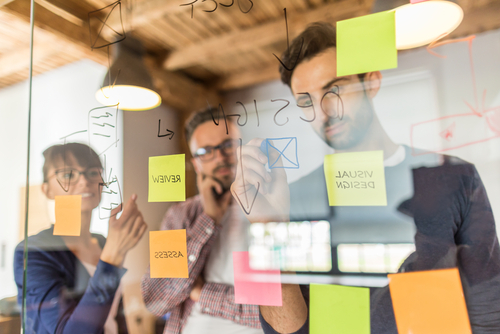 Learning how to "unexpect the expected"
Associate Professor in Organisational Behaviour, Dr Martin Fellenz, provides tips for improving decision-making by learning how to challenge our mental models and make better decisions in complex situations. Paul Drechsler was conferred with an Honorary Degree of the University of Dublin. He has promoted business as a force for good in society especially by supporting education. 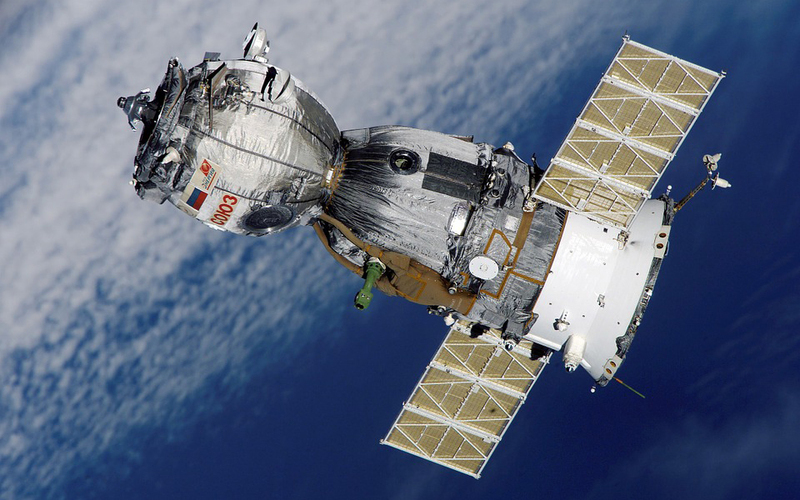 Have you ever imagined the commercial potential of space? Professor Louis Brennan has done just that with his new book "Above and Beyond: Exploring the Business of Space". We are already connected to space via our smartphones and extra-terrestrial supply chains are likely. There is so much more to come. 'While Ireland benefits a lot from its tax concessions, other countries lose out a lot. They're not happy with this and they're taking action' - Professor Jim Stewart comments on Ireland's low corporate tax rates in Marketplace.org. Read more here. Noses that are kept clean for the sake of promotion soon lose the ability to smell decay. Dr William Kingston, Trinity Business School veteran, writes how the threat of career ruin can prevent people from calling stop. Interested in a career in research? There are three fully funded PhD scholarships available in Trinity Business School in the areas of HRM, Employee Engagement and Work Engagement. Find out more and apply today. Professor Louis Brennan in a letter to the Financial Times endorses the recommendation for the creation of European champions to fend off competition from the US and China. Read it here (Subscribers only). Marketers must consider a new step on the path to purchase known as the 'ultimate moment of truth' – or 'UMOT' – according to a study published in the Journal of Advertising Research (JAR). 'Failure to prioritise engagement of the consumer at the UMOT may push a company further back up the supply chain, putting it at risk of being the supplier of a commodity with no direct access to the end user' write Professor Laurent Muzellec and Digital Strategist, Eamonn O'Raghallaigh. Subsidiaries who collaborate with local scientific institutions on new product development can win investments from HQ and gain status as a global innovator within the company's network explains Paul Ryan, associate professor in international strategy and entrepreneurship in his article in The Irish Times. Read it here. Professor Martha O’Hagan Luff addressed the Oireachtas Finance Committee today. While some argued that Vulture Funds could trigger thousands of Home repossessions she argued that it may facilitate debt forgiveness. Read more in the Irish Times article here. Mindfulness is fast becoming the solution of choice to tackle employee stress in the workplace. However, the idea of implementing a mindfulness programme divides opinion in many organisations due, in part, to some questions about its origins and aims. Professor Sarah-Jane Cullinane explains how to establish a legitimate business case for its introduction. Top spot for Trinity Executive MBA in Ireland for second year running. QS EMBA Rankings 2018. Congratulations to Arthaud Mesnard, winner of the Trinity Business Student of the Year Award 2018! Arthaud is an exceptional scholar and serial entrepreneur who has contributed significantly to campus life and to society beyond the gates. We are exceptionally proud of all six finalists - Jordan Boyd, Malwina Grondzewska, Simon Curren, Isabel Ottewill, Marcus Kelly and Arthaud. Thank you to Bank of Ireland for hosting and sponsoring a great evening in The House of Lords on College Green. We were delighted to welcome two successful female entrepreneurs to the School on May 9th to share their personal stories and inspire and guide our MBA students. Lisa Clancy Communications & Marketing Consultant and Trinity MBA Alumni, is pictured with current MBA student Payal Mitra and Anne Keys, Managing Partner of The Panel. 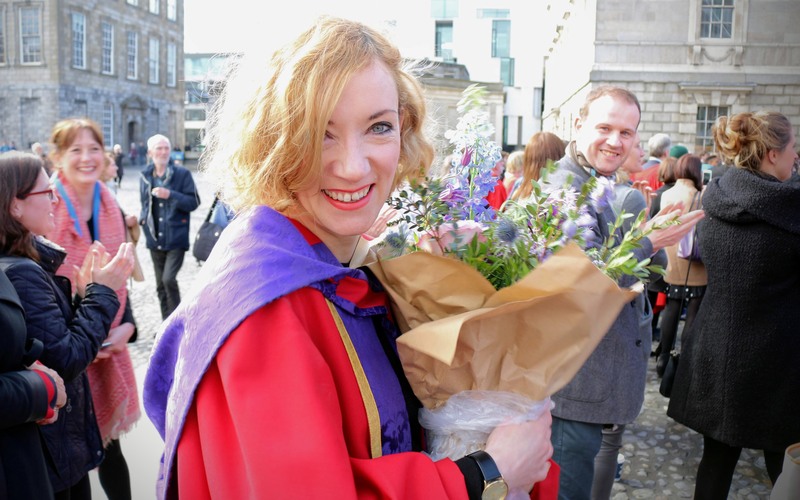 Trinity is well known for its cutting-edge research but not everyone is aware of our project based learning approach which was pioneered on our MBA. This approach is made possible by the many excellent companies that partner with us. We took the opportunity to thank them with a reception in Trinity's beautiful old library. We are particularly grateful to Denis Lucey, VP of Dell EMC for inspiring all in the room. 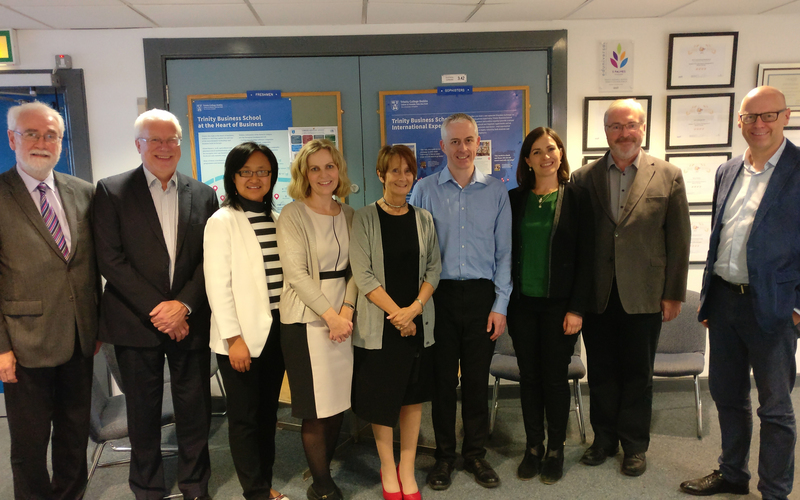 A new Provost's PhD Project Award has been launched with Trinity Business School on investigating work engagement in health service settings. This PhD position is open to EU and Non-EU candidates and includes an annual stipend of €16,000 for four years. The doctoral award is generaouosly funded through alumni donations and Trinity's Commercial Revenue Unit. Find out more here. Our popular Postgraduate Diploma in Accounting programme recently featured in the Accountancy Ireland magazine. Huge congratulations to all the new Scholars and Fellows that were announced in Front Square this morning! We are particularly delighted to celebrate with Professor Norah Campbell who was made a Fellow of the University. Fellowship is awarded to those who can prove 'scholarship or research achievement of a high order' coupled with 'evidence of the candidate's contribution to the academic life of the College', including effective teaching. Congratulations also to Helen Smith, Law and Business student, who joins the ranks of Scholars. 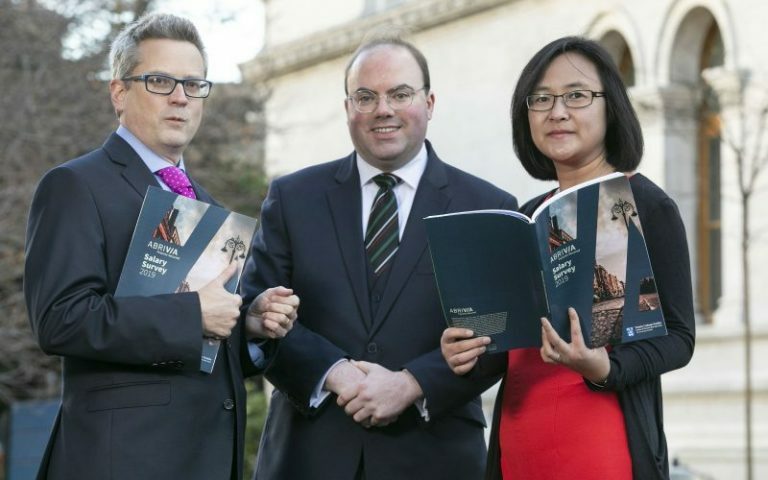 Trinity College Dublin and the Association of Chartered Certified Accountants have announced a partnership aimed at upskilling finance professionals. We are delighted to be working on a number of projects including a pathway to the MBA for ACCA members and a bursary. Read more. There is a growing myth at the moment that the widespread self-employment in the construction sector is somehow harming not only the welfare of construction workers themselves, but also the productivity of the industry as a whole. Professor Andrew Burke shows how a recent IPSE report debunks this myth. Read here. An important read for corporate stakeholders before they get involved in a company. Dr Tanusree Jain is writing in The Irish Times about the need for authenticity if your firm wants to avoid reputational risks. Trinity Business School Professor Louis Brennan was one of the contributors to the book International Encyclopedia of Geography: People, the Earth, Environment, and Technology that recently received the prestigious CHOICE Book Award for Outstanding Academic Title in 2017. The CHOICE Book Awardees are selected by the Association of College and Research Libraries, a division of the American Library Association. Louis' chapter which he co-authored with Professor Padraig Carmody of Trinity’s Department of Geography was titled Emerging Market: Southern Corporation. In this fascinating article Brian Lucey, Professor of International Finance and Commodities and Larisa Yarovaya, Lecturer in Accounting and Finance in Anglia Ruskin University explore the impact on the economy of the recent move by cryptocurrency entrepreneurs to set up ‘shop’ on the hurricane ravaged island of Puerto Rico. Read more here. In response to obesity levels, new voluntary codes of practice restricting the advertising and marketing of food and non-alcoholic drinks have been announced. Assistant Professor Norah Campbell warns that they may actually have the opposite effect than those intended by government. Read Irish Times article here. The Irish Times covered the 2007-2016 Economic Impact Report drawn up by Professor Brian Lucey, that evaluated the economic impacts that Crann and Amber have had in the past 10 years, measuring their links with business and the wider community. The Welsh First Minister Carwyn Jones was in Trinity on Monday, 12 February 2018 for round table talks with the British Irish Chamber and Trinity about the very real threat an extreme Brexit and hard sea borders would be to the Welsh and Irish economies. Professor Paul Coughlan and Professor Louis Brennan from Trinity Business School both presented to the group. Lord Karan Bilimoria, Co-Founder of Cobra Beer delighted students and alumni during his visit to Trinity. He inspired the students with tales of his experience as an entrepreneur, fears about Brexit and his time in The UK House of Lords. Bank of Ireland kindly hosted the event in the stunning House of Lords Chamber on College Green. A collection of the recent goings-on in the Business School. E-cigarettes are a multi-billion dollar business and present a massive growth potential of double digits annually. They have been one of the most disruptive changes to the tobacco market. Tanusree Jain, Assistant Professor in Ethical Business explains the need for regulation in what some view as the healthier alternative to tobacco products. Read more here. Competition policy in Europe, EU tax authorities' access to newer and better information about MNE activities, US tax reform, and the net effect of 'correlative adjustments,' are operating together to create a new tax environment for US MNEs, for Ireland, and for international taxation in general. As a result the year 2018 will see greater moves towards tax harmonization. This will especially affect US MNEs. Adjunct Professor Jim Stewart outlines this new tax landscape. Read more here. Dr Julian Friedland, Assistant Professor of business ethics writes in this article that like any reputational storm that spins out of control, those that overwhelmed Uber and Ryanair in 2017 were not merely the result of making the wrong choice at any particular decision point; they had much more to do with overarching business philosophies that revealed themselves at defining moments. Read The Irish Times article here. Predicting an almost full employment economy and increasing numbers of returning Irish are among the trends highlighted in the 2018 Abrivia Recruitment/TCD Salary, Employment and Economic Trends Survey. Survey analysis and economic commentary were provided by Professor Brian Lucey, Dr Charles Larkin and Dr Na Fu. From self-help books, to Brexit-related titles and a Pulitzer Prize winner, Ireland's best-known figures tell the Independent which page-turners they couldn't put down in 2017. Twenty years since a landmark peace agreement in Northern Ireland, the complexities of the Brexit process threaten the efforts of those local communities who have spent decades building peace. Professor Sheila Cannon writes about the valuable contributions of community groups to making the transition a success. 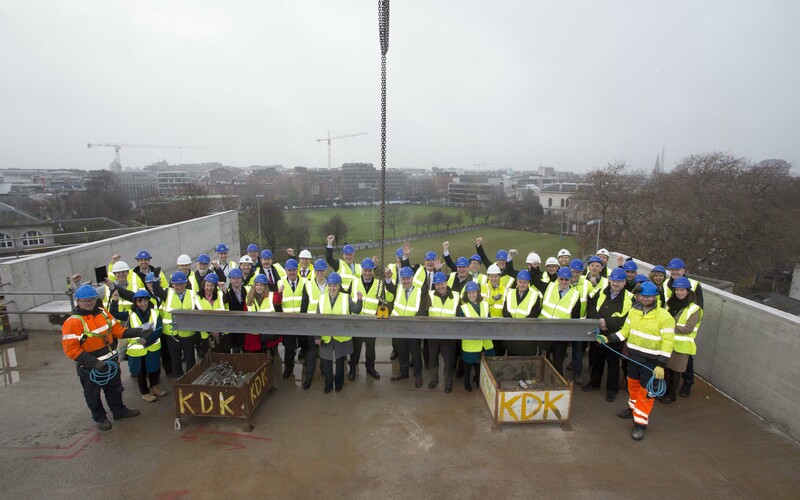 Today, Wednesday the 20th of December the last beam was placed on our new business school. We celebrated with the Provost and all those who have made the project possible.The iconic €80 million building is due for completion this time next year. 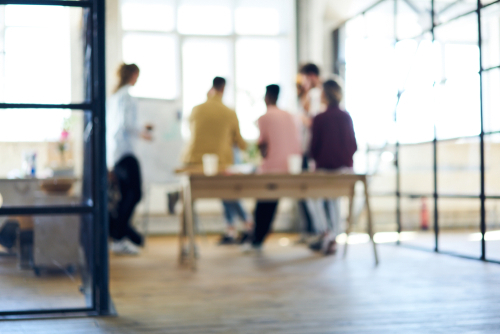 Amanda Shantz, Associate Professor of Human Resource Management discusses how rewards and discipline send powerful signals about desirable behaviour in the office. Read more here. 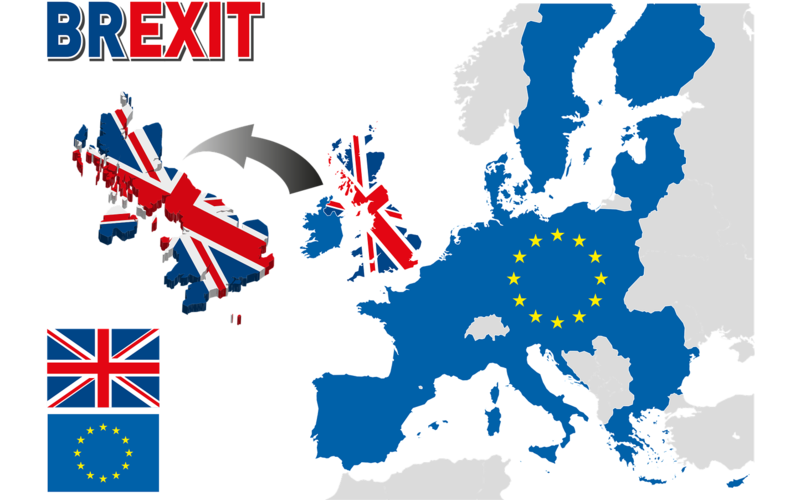 Professor Brian Lucey comments on the recent Brexit developments. Like any asset, Bitcoin has some fundamental value, even if only a hope value, or a value arising from scarcity. So there are reasons to hold it. But research undertaken by Prof Brian Lucey and colleagues does show that it is experiencing a bubble right now. Read more here. As the Brexit end game approaches, the intractability of the problems around the Irish border are thrown into sharp relief. Professor Brian Lucey explains why. Congratulations to the Trinity team comprised of Aisling Dooley, Senior Sophister BESS and three Engineering students Robert Trew, Jason Flynn and Forrest Winters on winning this year's ESB Inter- College Challenge. Acting as a consulting team for the ESB they had to undertake research, design, financial analysis and marketing activities on their recommended eHeat or eTransport technologies. Their proposals were outstanding. We want to wish the team best of luck as they head off to Montreal for EngComm 2018. 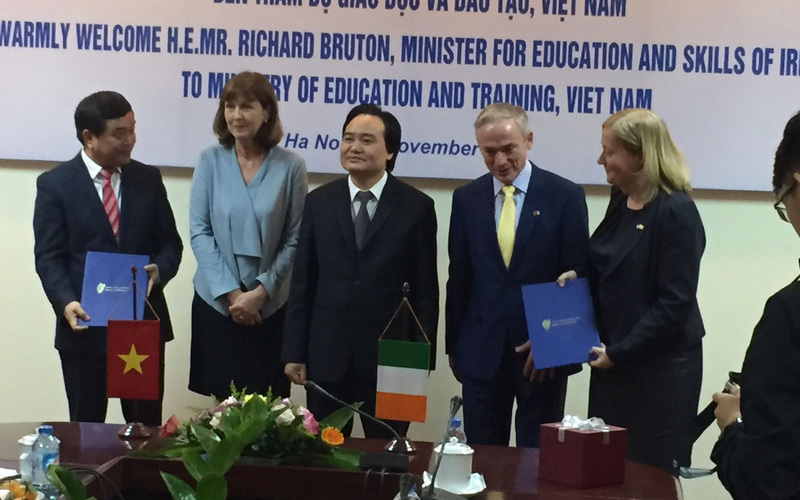 Minister Richard Bruton TD with his Vietnamese counterpart and the Irish Ambassador to Vietnam witnessed the signing of a new development between the School's Trinity Centre for Social Innovation and the National Economics University funded under the Vietnam Ireland Bilateral Exchange Programme. The Vice President for Global Relations Dr Juliette Hussey and the President of the National Economics University Professor Dr. Tran Tho Dat represented the two institutions for the exchange last week. The two Schools will be piloting a digital engagement map of social enterprises in Vietnam and collaborate on the development of curriculum in social innovation and enterprise. 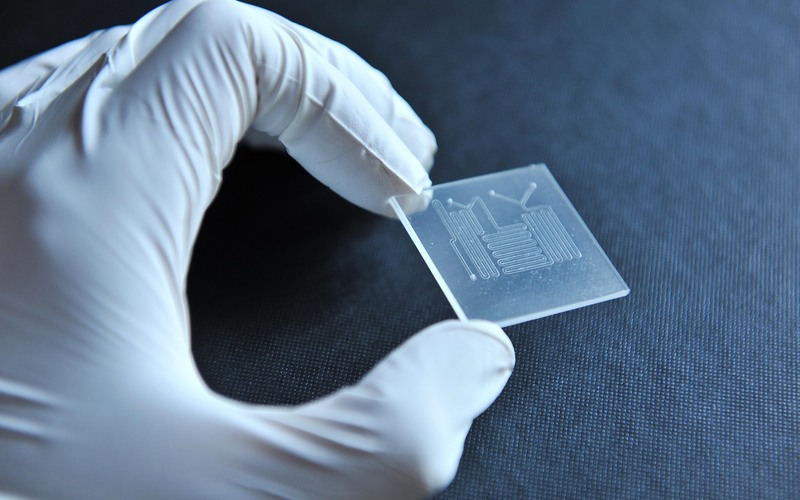 Ireland ranked first in the world for nanoscience research with a €5 return for every €1 invested, a report has found. The report, carried out by Trinity Business School finance professor Brian Lucey, said that nano and materials science was worth €500m to the economy and had supported 14,000 jobs in the past decade. Professor Lucey’s report found that the Science Foundation Ireland-funded research centre (Amber) had along with its predecessor generated a gross output of more than €500m over 10 years from an income of €108m. The Centre for Research on Self-Employment (CRSE) - chaired by our Dean, Professor Andrew Burke - has released a new report highlighting the true diversity in the self-employed workforce. 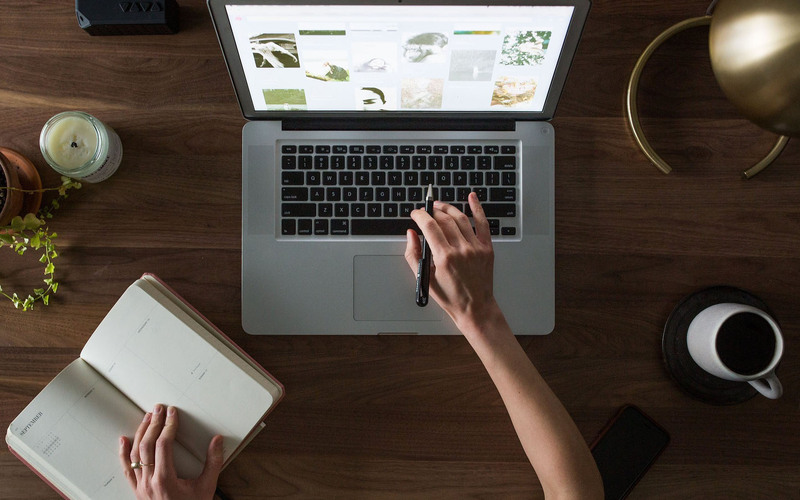 Dispelling many of the myths about the gig economy and the freelance workforce. The work is based on the UK workforce which shares many similarities with Ireland and other developed workforces. Read more here. Trinity Business School’s MSc in Human Resource Management received full accreditation from the Chartered Institute of Personnel Development (CIPD) on Oct. 6, 2017. Marketing and obesity – are voluntary codes enough? Yesterday marked World Obesity Day, where it's estimated that 2.7 billion adults will be overweight by 2025. Can Ireland be a global leader in the war against obesity? It can, but only if we understand that it is not (only) a clinical condition - the macro marketing environment around us stimulates overeating, and voluntary codes for junk food marketing won't change this. 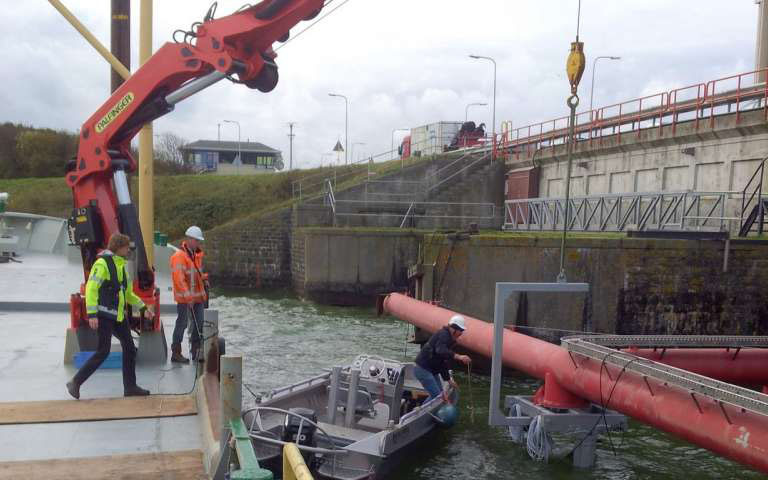 Our very own veteran Professor Bill Kingston has been working with Trinity Engineers on an exciting project to reduce energy costs by looking at ways to capture the untapped power of the ocean’s wave in a cost effective manner. Abrivia recruitment in conjunction with Trinity College hosted a HR Management Breakfast Seminar in Dublin. 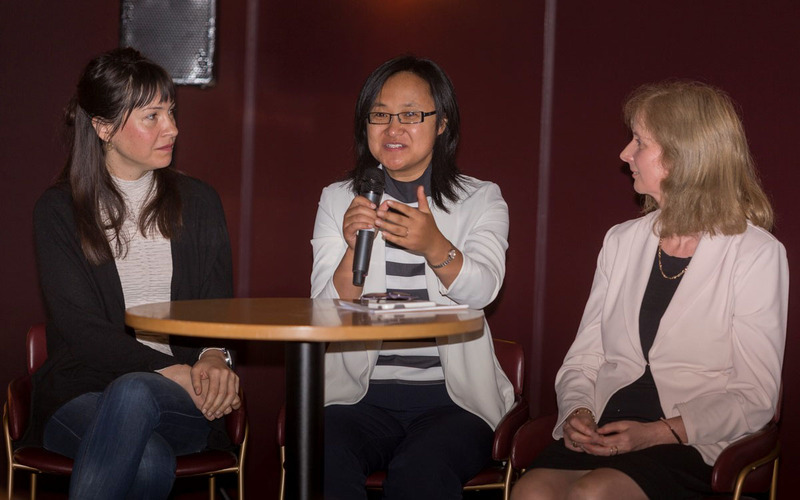 Dr Amanda Shantz and Dr Na Fu from Trinity Business School and Dr Claire Hayes, Consultant Clinical Psychologist delivered thought-provoking presentations on culture and high performance teams. 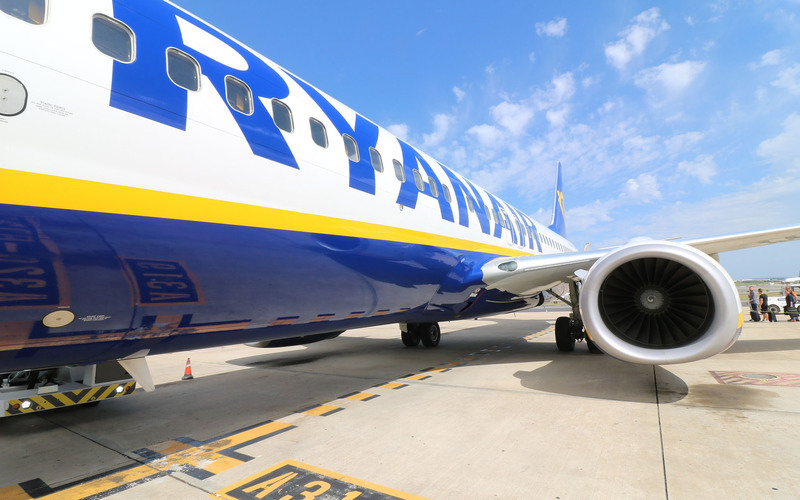 Dr Padraic Regan, our aviation expert and strategy professor at Trinity comments on the pilot revolt at Ryanair in Bloomberg News. 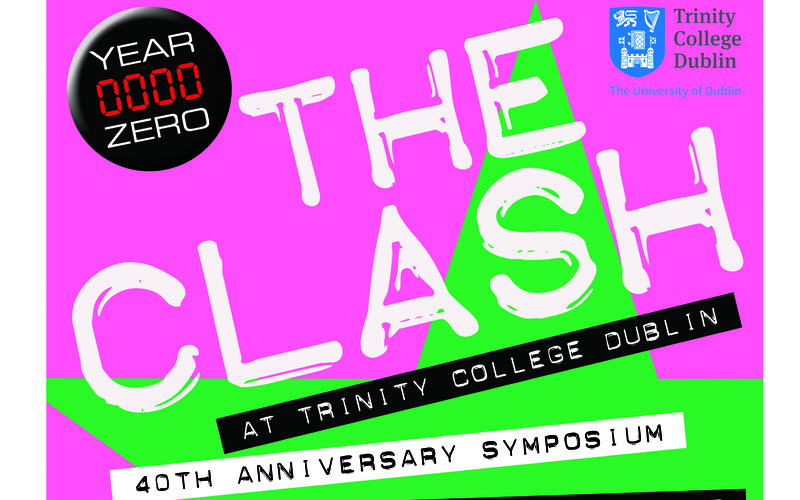 This Saturday Trinity celebrates the 40th Anniversary of UK Punk band The Clash's first ever gig to an Irish Audience in Trinity’s Exam Hall. Our very own Professor Andrew Burke, Dean of Trinity Business School will interview Johnny Green, the band’s tour manager as part of the full day symposium. Sign up for your ticket today. 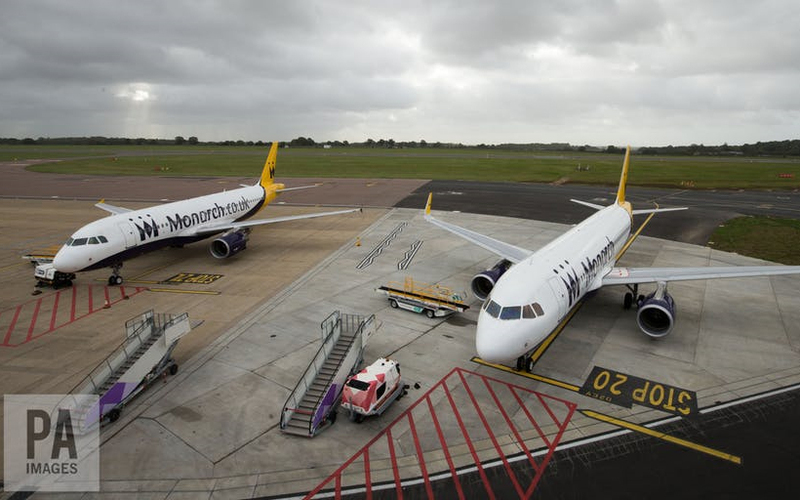 With plans underway for the UK’s biggest peacetime repatriation of 110,000 customers following the collapse of Monarch Airlines – the biggest UK airline ever to cease trading – questions are quite rightly being asked about what went wrong. Professor Padraic Regan explores. The Irish Government recently published its strategy to increase the value of the international education sector by 33 per cent to €2.1 billion (176,000 students) by 2020, but what is the role of marketing in achieving this target? Sarah Browne, Assistant Professor in Marketing and Strategy and Padraic Regan, Assistant Professor in International Strategic Management analyse the international education strategy for Ireland. Current law requires Tegel be closed when the new, under-construction Berlin-Brandenburg International opens. But, in a blow to city authority plans, the results of a September 24 non-binding referendum showed that the majority of Berliners want to keep Tegel open. Professor Padraic Regan our aviation expert explores here. Graduates from Trinity College Dublin founded more venture-backed companies than graduates from any other European university over the last 12 years according to independent research. Ryanair has had the week from hell. The budget airline has cancelled around 2,000 flights, affecting up to 400,000 passengers, and unleashing a wave of terrible headlines and withering commentary. But how did such an unexpected, unprecedented drama come seemingly out of the blue for one of the world’s fastest-growing and most profitable airlines? Our aviation expert Padraic Regan explains. 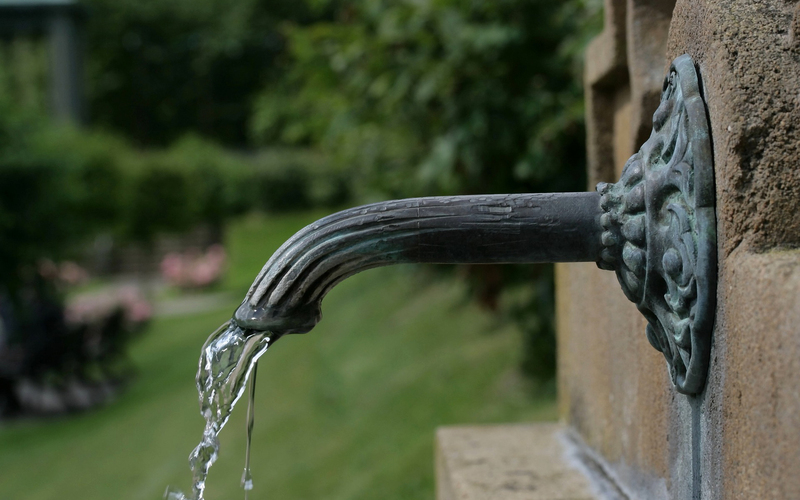 Engineers and business experts, including Professor Paul Coughlan, from Trinity College Dublin are the technical leaders in a new €2.9m EU-backed project that will lighten the load on stressed water networks and reduce associated negative impacts on the environment. The project will also lessen operational costs for companies and bring down water bills for the public. When we buy a pair of jeans, sunglasses, or trainers, we are never buying for ourselves, but for others. Dr Norah Campbell, in the second part of her three part series in Village Magazine, explores the hidden but damaging impact of marketing practices. Capitalism isn't broken – but it does need a rewrite. We need to work out how to save capitalism from itself writes Dr Julian Friedland in The Conversation. CAO scores BBS as top choice general management degree. Although CAO points for business studies degrees went down in most universities in Ireland, Trinity Business School bucked the national trend by achieving sizeable increases in its CAO points for both BBS and BESS which are now respectively the top two general management degrees in Ireland. Too little accountability creates monsters. Too much blame creates fools. The blame game prevents learning because fearful and defensive people do not disclose all the facts, writes Dr Martin Fellenz. Professor Brian Lucey proposes slow sustainable tourism initiatives for greater economic impact. Read Here. Prof David Coghlan, in collaboration with colleagues from Chalmers University of Technology in Gothenburg and HEC in Montreal were awarded the best action research paper by the Organization Development & Change division of the Academy of Management at the annual conference in Atlanta in August. The Liffey Trust, one of Europe’s oldest incubators is partnering with Trinity Business School at Trinity College Dublin to fund scholarships for entrepreneurs studying on the Trinity MBA. Read Here. Is national pride the only thing that can save struggling airlines like Air Berlin and Alitalia from market forces? Professor Padraic Regan, our resident aviation management expert, writes about failing European airlines. Read Here. Professor Frank Barry writes: Five years from now the Irish state will celebrate the centenary of its exit from the United Kingdom. The struggle to end that political and economic union was characterised not just by bitter debate but by military conflict. The process threatened British democracy itself. The script reads like a nightmarish film treatment of the Brexit process of today. Read it today. Two recent graduates from Trinity’s Postgraduate Diploma in Accounting have been awarded prizes for academic achievement by EY. Niamh Lynch won the prize for the highest grade in the ‘Audit’ module and Petra Stracarova won the prize for the highest grade in the ‘Corporate Governance and Ethics’ module. Thank you to Oisin Molloy who presented the large cheques to both graduates. Congratulations Niamh and Petra! Professor Andrew Burke, Dean of Trinity Business School and Chair of the Centre for Research on Self-Employment comments on the recent research results. Read more. 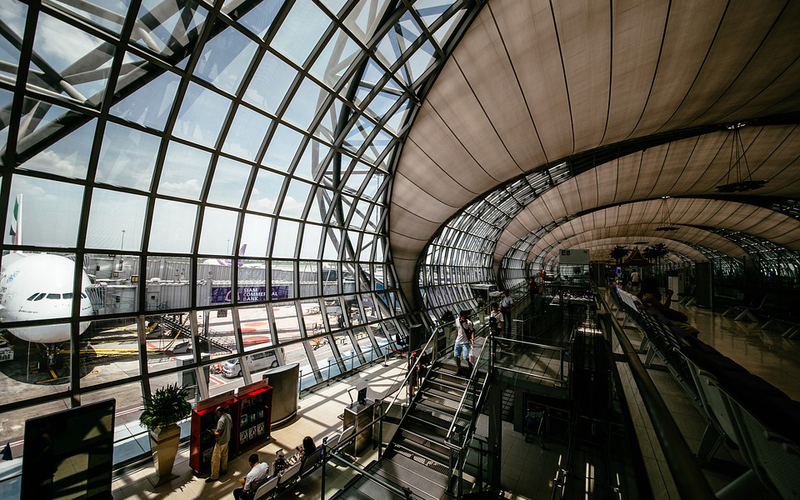 Assistant Professor in International Strategic Management and aviation expert, Padraic Regan gives his thoughts on how Brexit may impact on the aviation industry. Read more. Associate Professor of Human Resource Management, Amanda Shantz explores what makes an effective, purposeful leader. Read more. Find out about the Trinity MBA ahead of our upcoming tour of America. Read more here. In part 1 of a three part series Assistant Professor of Marketing, Norah Campbell looks at the impact Marketing has on our bodies; where does personal responsibility end and corporate responsibility begin? When does engagement become addiction to work? Professor Brian Lucey responds to calls for Irexit. Read more here. Trinity Business School and the Trinity Centre for Social Innovation and the School of Natural Sciences are leading a €12m EU-Funded project to bring nature into cities across the world. Read more about it here. Richard Keegan, Enterprise Ireland and Adjunct Assistant Professor explains how the lean methodology can help Irish SMEs brace for Brexit. Read more here. A pioneer of ethical consumerism, wedded to a corporate giant with a questionable record? The lessons of a decade ago should be ringing alarm bells. Professor Tanusree Jain analyses the merger. Lots of congratulations to Professor Mary Keating, Director of the MSc in International Management on receiving a Certificate of Excellence at the Global Engagement Awards 2017! The awards recognise faculty and administrative members who have shown a passion for encouraging international activities in the University. Mary’s research on culture and her dedication to teaching international management has been exemplary. Martha O’Hagan Luff kindly accepted the award on Mary’s behalf. Congratulations to Mairead Brady, Assistant Professor in Marketing on recently receiving the Provost’s Teaching Award for her innovations in the classroom. Read more about the awards here. Are our risk perceptions impacting our saving perceptions for the worse? Raphael Schoenle, Rawley Heimer and Trinity Business Schools Kristian Myrseth’s research was recently featured in Allianz Project M magazine. Read it here. The Journal of Empirical Finance has recently ranked the INFINITI Conference, chaired by Brian Lucey from the School, as one of the top 50 finance conferences worldwide and No.12 for a conference of its size. 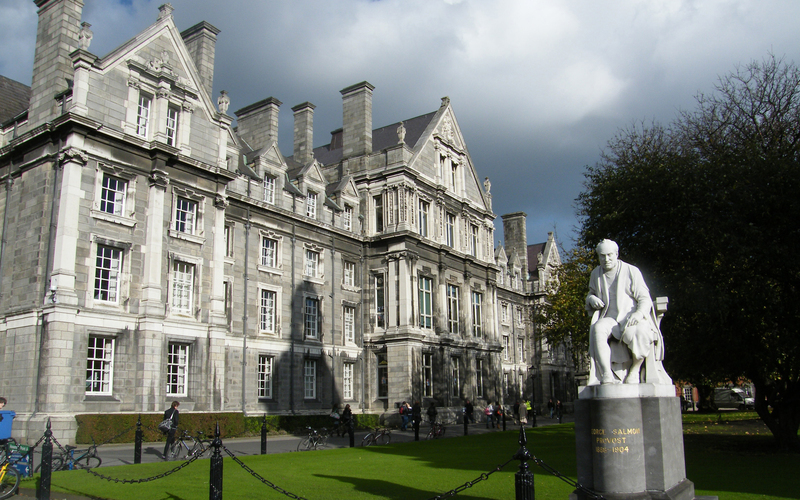 The conference was constituted in Trinity College Dublin in the Summer of 2003. Trinity College Dublin rises in QS world university rankings, making it number one in Ireland for research impact, academic reputation, our international student community and faculty. Read more. Today the international business publication, CEO Magazine, has announced its latest global rankings for MBA programmes and has placed the Trinity MBA in the top tier of MBAs in the world. David McWilliams fuelled debate at the Trinity Global Forum when he addressed the questions: Is the world order changing irredeemably? What are the economic forces behind change? What next for Europe? . Watch the video here. The current debate on digital transformation is naturally very technology-centric but the human factor is often underestimated or ignored. Adrienne Gormley of Dropbox shares her perspectives. Professor Frank Barry discusses why Irelands tech companies do not need to worry about Brexit or Trumps tax plans for the US. Read here. How Capitalism Destroyed Itself: Technology Displaced by Financial Innovation. In his controversial new book, Business School veteran William Kingston, charts the rise and projects the fall of capitalism. He argues that laws and traditions which once ensured self-interested actions also produced public benefit have now been captured and shaped by those who could benefit most from them. Read an abstract here. Professor Andrew Burke, Dean of Trinity Business School recently addressed the Chartered Accountants Interm Managers Conference championing the benefits of freelance professional experts to industry, economies and the experts themselves. Read more here. Professor Brian Lucey gave his inaugural lecture as Chair of International Finance and Commodities on Tuesday evening. You can listen to the podcast of his talk here. Eduniversal Best Masters 2017 rankings were released yesterday and all of Trinity Business School Masters were highly ranked. Find out more here. Danny McCoy, CEO of the Irish Business and Employers Confederation (IBEC) explored the implications of Brexit for Irish business at the recent Trinity Global Business Forum. Watch the video here. Studies show that corporations are stronger with more women in senior leadership positions. Yet the piple is limited by the Missing Middle phenomenon. Fiona Dawson, Global President of Mars Drinks, Food and Multisales discusses the steps corporations can take to address this key challenge. The ceremony was held in the House of Lords, Bank of Ireland on College Green on Thursday, 6th April. Read about the event here. Embracing Disruption - Finding Opportunities in Crises. Read about our recent Global Business Forum as well as other goings-on in Trinity Business School. 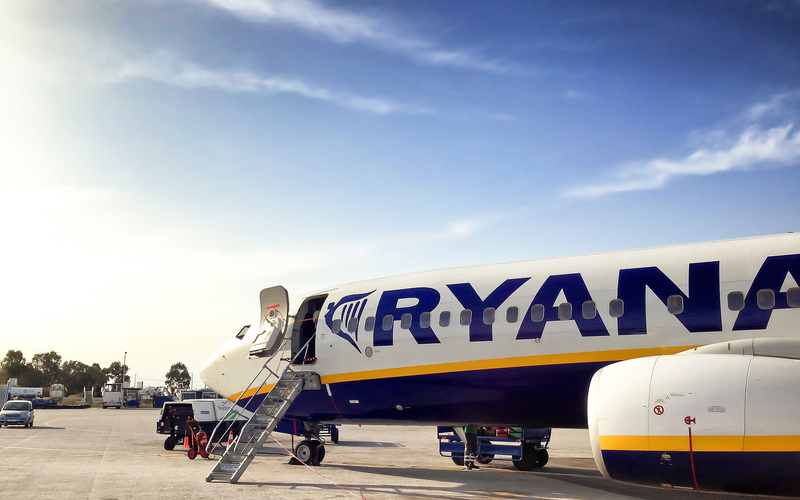 The new fund will be sponsored by the Ryanair Foundation to the value of €1.5m over five years and will see the new Ryanair Professor of Entrepreneurship take up the role from September 2017. Read more on the story here. The UK has taken a leadership position in Europe in terms of its relations with China. While there has been a greater openness to FDI from China in Europe there remains a skittishness around investment. Professor Louis Brennan outlines the possible implications of China losing a key member state in the EU. Read more. 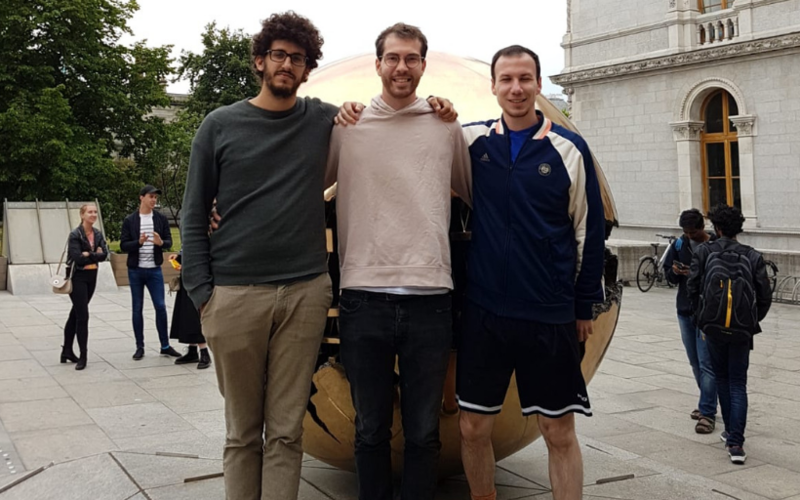 Congratulations to the 2nd Year Business and French students, Liam Cronin and Mark Perham who won Jailbreak on Sunday, 12 March by reaching ‘Location X’ in San Marino just before 5pm . Disruptive business models like McDonalds, Airbnb and Uber attract harsh criticism but they have benefits too, writes Louis Brennan. Lara Connaughton is the first Irish recipient of a Schwarzman Scholarship in Tsinghua University, Beijing. Lara studied BESS (Business, Economics and Social Studies) specialising in Business and Economics in her final year and graduated with a first class honors degree. Read the piece written by Sheila Cannon that featured in Newsweek. Read article here. Trinity Business Alumni in association with Bank of Ireland invite Nominations and /or Applications from Senior Sophister Business Students for the Award of Trinity Business Student of the Year 2017. Trinity College Dublin is the No 1 University in Europe for Graduate Entrepreneurs who are raising venture capital. The annual Pitchbook Universities Report came out today. For the second year running Trinity College has ranked as number 1 in Europe for producing VC-backed entrepreneurs from our undergraduate programmes. Pitchbook have noted 192 entrepreneurs in this year’s report up from 114 in last year’s report. Company count 180 (106 last year). $2,166M capital raised ($655M last year). Trinity is the only European University listed in the top 50 worldwide. Professor Martin Fellenz joined The Sunday Business Show to discuss the issue of people taking work home with them and not being able to disconnect. “Many employers don’t know it is in their interest to take away the digital onslaught for their employees.” You can listen back to it here. Professor Kristian Myrseth’s paper was discussed by eminent financial journalist Noah Smith in a recent Bloomberg article. Smith tackles the question of the future of Behavioral Economics. Read the article here. In partnership with the 30% Club Ireland, Trinity College Dublin and Trinity Business School are delighted to announce the launch of the Trinity 30% Club MBA Leadership Scholarships. 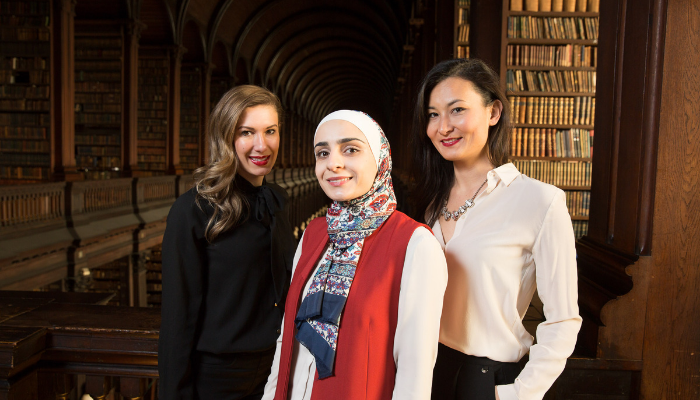 With funding from the University and the Business School, we have launched a scholarship for high achieving women to join the Trinity MBA and foster leadership and representation of women at executive level in business organisations. Professor Andrew Burke, Dean of Trinity Business School joined entertainment industry leaders at the launch of Let’s Celebrate 2017, research conducted on the value entertainment events to the Irish economy. The events were found to have generated €1.7bn of additional revenue over a 12-month period, excluding actual ticket purchases. Professor Burke spoke on the value of research. He noted without clear figures the industry will often be ignored. Read more here. Find out what has been going on over the last few months in the Business School. From graduations to the upcoming Global Forum, you can find it all here. Professor Frank Barry provides his expert commentary on what he contends is the wrong-headed analysis doing the rounds on the implications of the proposals of the new US Administration for Ireland. Read more here. Join us for an evening with our expert faculty, admissions team and careers specialists to learn more about our programmes and to choose the best one to launch your business career. Register here. Dr. Mairead Brady, lecturer of Marketing reflects on the benefits of playing games in class. “ Students apply the theories they have learnt in a way that has consequences, but no real-world risk.” Read more on The Trinity Education Project. Trinity Business School and Abrivia Recruitment Salary Survey reveals some interesting findings. Addressing Trinity Entrepreneurial Society, the CEO of Ryanair spoke about Ryanair’s relentless expansion and how the airline is actually trying to be nice to people. Read more. Congratulations to Iseult Ward, CEO and Co-Founder of FoodCloud who has been named in Forbes 30 Under 30. Iseult began FoodCloud as a student enterprise during her time in Trinity and, as a result of her efforts to reduce both food waste and food poverty, was named Business Student of the Year 2013. Professor Jim Stewart writes that the policies of the Trump administration following Brexit and possible political change in Europe in the near future could lead to unprecedented change in Ireland. Read more. We are very proud to announce that BESS graduate, Lara Connaughton, is the first Irish recipient of a Schwarzman Scholarship for Tsinghua University, Beijing. Lara will join Scholars from 30 countries and 75 universities at Tsinghua University, a premier institution in China. Dean Andrew Burke commented on this achievement: "While I know how incredibly difficult it is, I was not at all surprised when Lara informed me that she was to become one of the recipients.." Read more. Dr Farhad Ahmed is pictured here alongside his supervisor, Professor Louis Brennan and Dean Andrew Burke. Dr. Farhad has taken up an academic position with Monash University, and we wish him every success with his future career. Dr. Lamest is pictured here with his supervisor, Máiréad Brady at his graduation. We wish him every success with his future endeavours. THINKTECH is a €1 million fund looking to find and back tech based solutions to Ireland’s critical social issues. Launched by Minister Simon Coveney T.D. 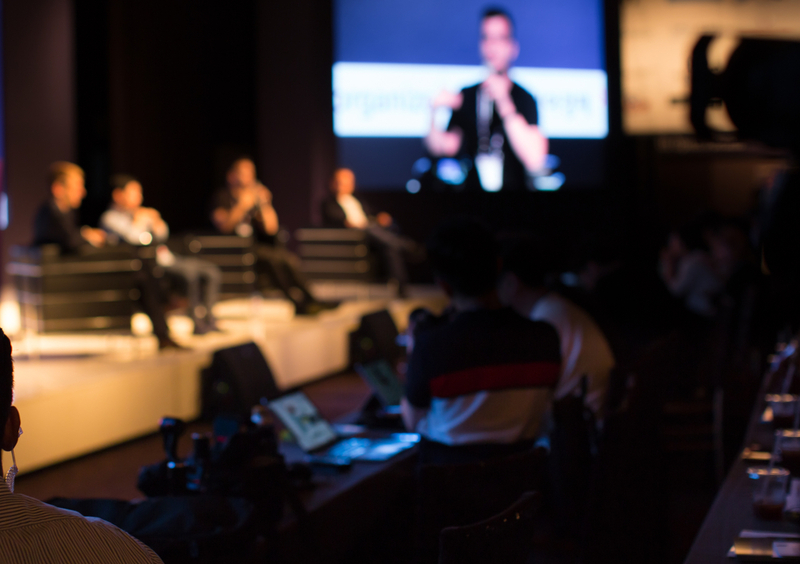 on June 21st, 69 applications were received and put through a rigorous selection process including a world class technology advisory group and interview panels. Read more here. Two of our Masters students, Kelsey Ellis and Jessica Porter share their story as Victory Scholars working with the Sports Changes Life programme. Read their story here. Dean Andrew Burke, Minister Richard Bruton and Provost Patrick Prendergast officially turned the sod on the new land mark building for Trinity Business School on Friday, 14th October. Facing bankruptcy, Matthew Moore our Law and Business student candidly shares his story of how education offers him a new life. Read it here. The ESB Challenge is an annual event which started as an Engineering Challenge and expanded this year to an Engineering and Business Challenge. Each college nominates a single team of Junior Sophister students to take part in the competition. This was Trinity’s best performance in the competition since its inception. Read more here. The Freelancer Confidence Index Report co-authored by Dean Andrew Burke has been published. It shows that Brexit has had a significant impact on the confidence levels of the UK’s 1.91 million freelancers. Four in ten freelancers reported the outcome of the EU referendum lowered their business performance in the third quarter of 2016. More than half of freelancers also expect Brexit to harm their business in the next twelve months. Read more here. Have a read of the October 2016 edition of Trinity Business School's newsletter. We have a myriad of stories, from summer internships to space exploration, we have it all! Read more here. In recognition of his outstanding international research, innovation, managerial and lecturing service to Trinity, the Board of the University have promoted Brian Lucey. He is now the Chair of International Finance & Commodities. Congratulations Brian! Dr. Na Fu, Associate Professor of HRM, has just been appointed to the Editorial Board of the Journal of Management Studies which is one of the top management journals in the World. This is a great achievement and accolade. More information about Professor Na Fu can be found here. Professor Jim Stewart considers the budget from the perspective of Multinational firms. Read it here. Professor Andrew Burke, Dean of Trinity Business School was invited to speak at the UK Association of Professional Staffing Companies (APSCo) Awards for Excellence 2016 held on Tuesday, 18th October. Professor Burke talked about the changing workforce and emphasised the importance of the freelancers to driving company innovation. Read more here. Watch this brilliant animated explanation of possible Brexit models open to the UK. Congratulations to Neil Dunne, Director of our Postgraduate Diploma in Accounting, on winning a prize for his research at the recent Irish Accounting & Finance Association (IAFA) Conference 2016. Neil is pictured along with Karen Ann O'Dwyer, DCU, and Paul Heaney, Director Education and Training, CPA Ireland. Trinity Business School was featured recently in the Sunday Business Post. Focusing on the School’s high growth strategy, the article spoke about our suite of postgraduate programmes and the new offerings available in 2016/17. Professor Yiannis Gabriel recently visited the School to deliver two talks, one on Ethical leaders and ethical followers and one on the editorial perspective he takes as a leading journal editor. Professor Gabriel is a world renowned expert in qualitative research. Professor of Organizational Studies in Bath, he has published numerous works in the leading organization journals. He is at present Senior Editor of Organization Studies. He is well known for his work into organizational storytelling and narratives, leadership, management learning and the culture and politics of contemporary consumption. He has used stories as a way of studying numerous social and organizational phenomena including leader-follower relations, group dynamics and fantasies, nostalgia, insults and apologies. He has also carried out extensive research on the psychoanalysis of organizations. A year of Growth, Innovation and Collaboration. 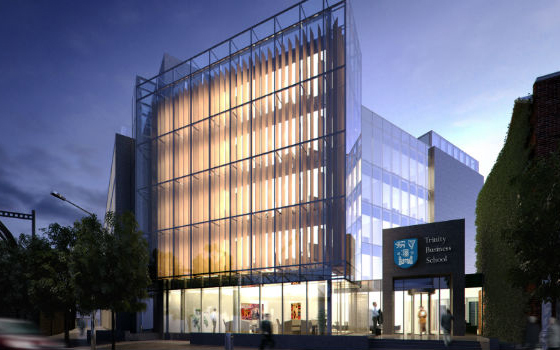 The past year has been an exciting time for Trinity Business School. We have embarked on a high growth strategy which will more than double the size of the School and includes the development of new and existing programmes, as well as the construction of a cutting-edge new building for the School (which will also incorporate an Innovation and Enterprise Hub). The MBA programme at Trinity College Dublin has been awarded a Global Tier One ranking in the just published CEO Magazine 2015-2016 MBA rankings. The global rankings, which were released in London today, focus on the practicality and quality of the MBA journey for participants. Factors taken into consideration include the learning environment, class sizes, tuition fees, quality and make-up of faculty, delivery methods, international and gender diversity. The objective of the ranking is to identify schools which marry exceptional quality with a great return on investment. 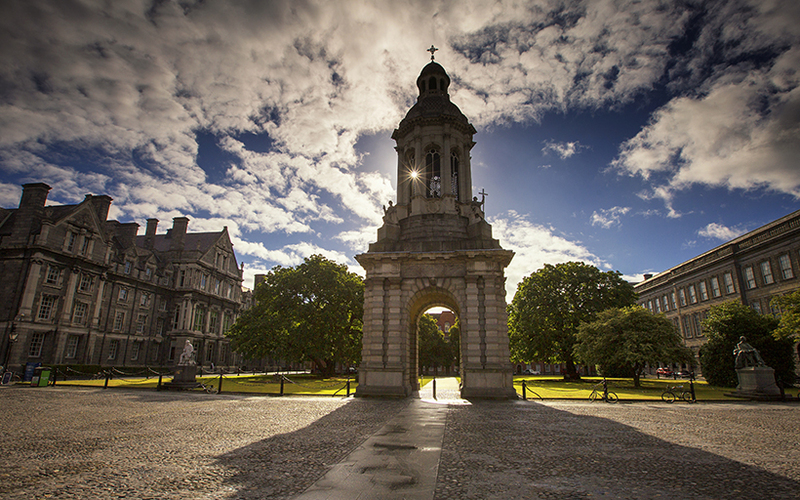 Trinity’s programme is the only Irish course to make into the tier one level of European MBAs. • Recruitment of excellent new faculty and professional staff – over 20 new people joined the School in a single year! This has all been achieved by a huge School effort across faculty (full time and adjunct), professional staff, students (particularly class reps and those involved in the newly established Business Society’s Chamber of Commerce), our alumni, our eminent and active Advisory Board plus a lot of people who just want to help us achieve our mission to enhance Trinity Business School’s impact on graduates’ careers, business and society as well as its international reputation. So to EVERYONE a BIG WELL DONE and THANK YOU on behalf of Trinity College Dublin. Have a great Christmas and New Year celebration. I look forward to working with you again next year in order to continue the growth and development of Trinity Business School. AMBA, the accreditation body for MBA programmes worldwide have completed a review of the Trinity MBA programme and have re-accredited the course for the maximum full five years allowed with no conditions attached to the award. This status is the highest that AMBA can give an MBA programme, noted Professor Michael Flynn, Director of the Trinity MBA. Trinity Business School are delighted to join the small number of MBA programmes globally that have achieved AMBA’s highest accreditation status. This achievement comes on the heels of the Trinity MBA being ranked in the top 100 MBA’s in the world by the Economist and number one in Ireland and in the top ten in Europe by Eduniversal, said Flynn. The Trinity programme brings an innovative approach to the design and delivery of the MBA experience by taking a 360*perspective of management and strategic thinking. This approach is combined with one of Europe’s most unique leadership and professional development courses and the Trinity live project model where high performance MBA teams are deployed into a range of organisations where they work alongside executive management teams on value creation focused projects. The international diversity and calibre of the class was described by AMBA as impressive and the project and leadership development aspects of the programme as an example of best practice. The specially developed class was delivered by Kingsley Aikins, founder and CEO of Diaspora Matters. He has written and spoken extensively on the topic and has previously delivered this Masterclass for Google, Intel, Linkedin, AIB, PwC, Bank of Ireland and Accenture. Aikins is a Trinity graduate, holding an honours degree in Economics and Politics. MBA Director Michael Flynn attended Eduniversal World Convention in Harvard last week, at which Trinity was awarded “5 Palmes of Excellence” (Eduniversal’s top level). 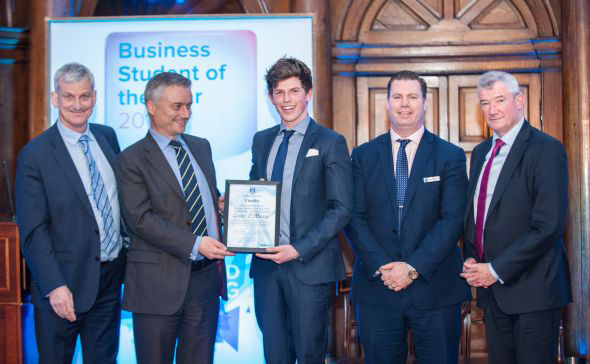 The Business School was again ranked 1st in Ireland in Eduniversal’s Palmes League.